The Galactics arrived with their Battle fleet in 2052. Rather than being exterminated under a barrage of hell-burners, Earth joined a vast Empire that spans the Milky Way. Our only worthwhile trade goods are our infamous mercenary legions, elite troops we sell to the highest alien bidder. In 2122 a lost colony expedition contacts Earth, surprising our government. Colonization is against Galactic Law, and Legion Varus is dispatched to the system to handle the situation. Earth gave them sealed orders, but Earth is thirty-five lightyears away. 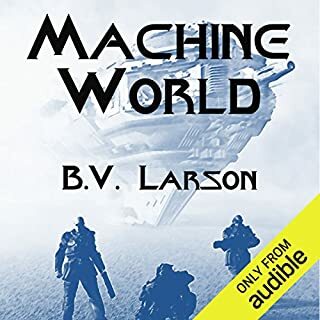 Real good Sci-fi story characters growing on me Steel World started a little slow but by the end the personalities of the characters started to grow. 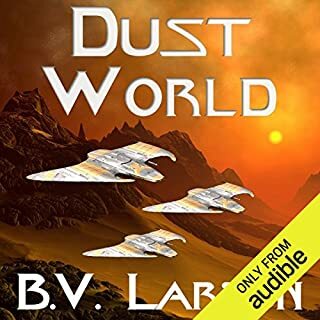 It's as much the Sci-fi for me as the world's they visit Dust world and how the characters cope fail or succeed. It's definitely a space type Western North American type vibe coming from the story, but I don't feel it distracts in any way.